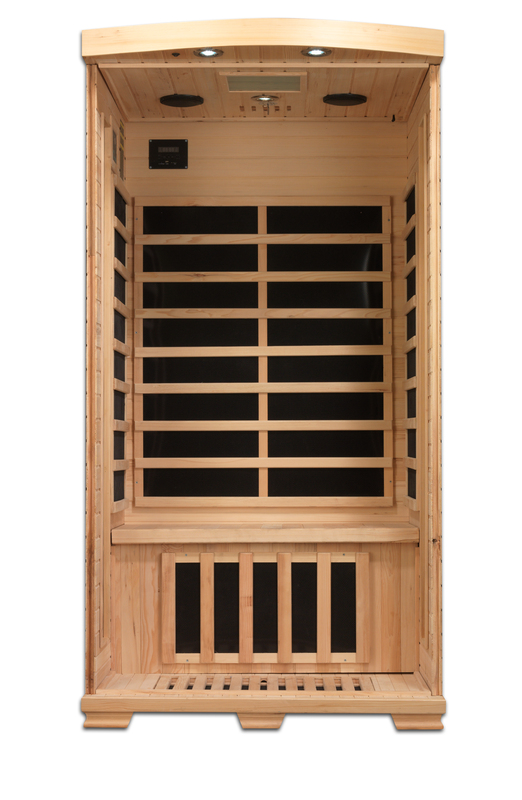 Pro 6, 1-2 Person sauna model offers 6 Low EMF FAR infrared Carbon Energy Efficient heating panels (including an industry leading foot heater) that produce a wider, softer heat that is evenly distributed throughout the sauna. Our Low EMF FAR infrared Carbon Energy Efficient heating panel heaters are 30% larger than saunas heated by ceramic tubes and penetrate skin 40% more to maximize therapeutic benefits. 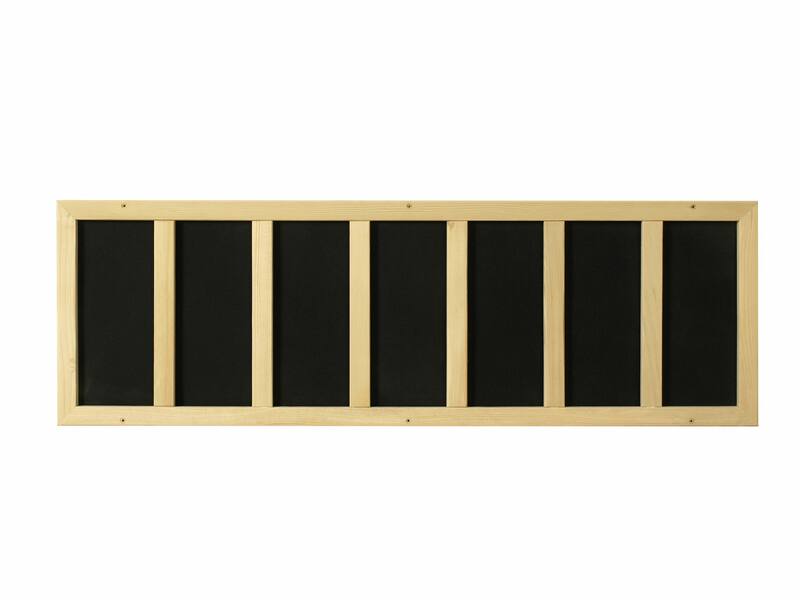 Unlike ceramic heaters, you will never have to replace our Carbon Energy Efficient heating panels. 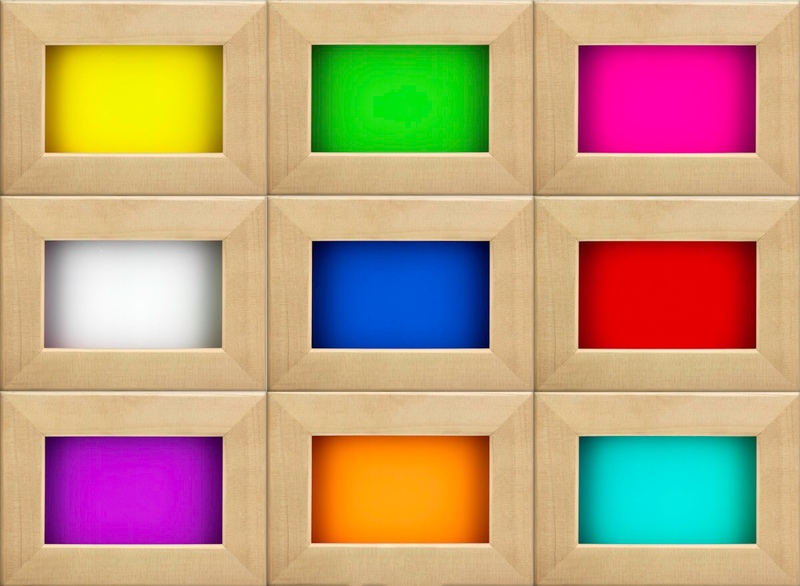 Pro 6 Low EMF FAR infrared Saunas Carbon Energy Efficient panels also heats up 30% faster than saunas equipped with ceramic panels and 100% faster than rock and water steam saunas. 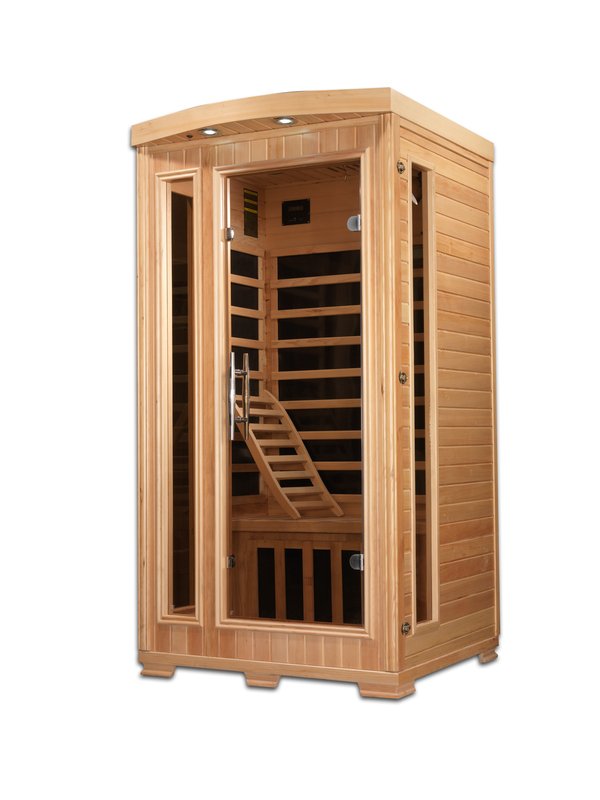 Pro 6 Low EMF FAR Infrared 1-2 person sauna is designed for ease of use and is an outstanding value. Assembly is a snap and takes less than 1 hour. 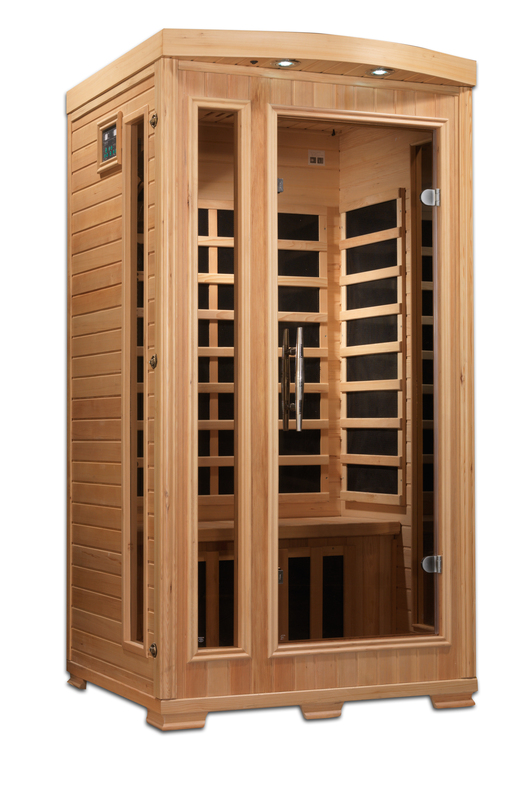 Enjoy the convenience of operating a Pro 6 Saunas with our dual (interior and exterior) soft touch control panel and LED display featuring sauna temperature and time functions. Play your favorite music through the saunas built in FM CD Radio with Bluetooth and MP3 auxiliary connection with built in speakers. 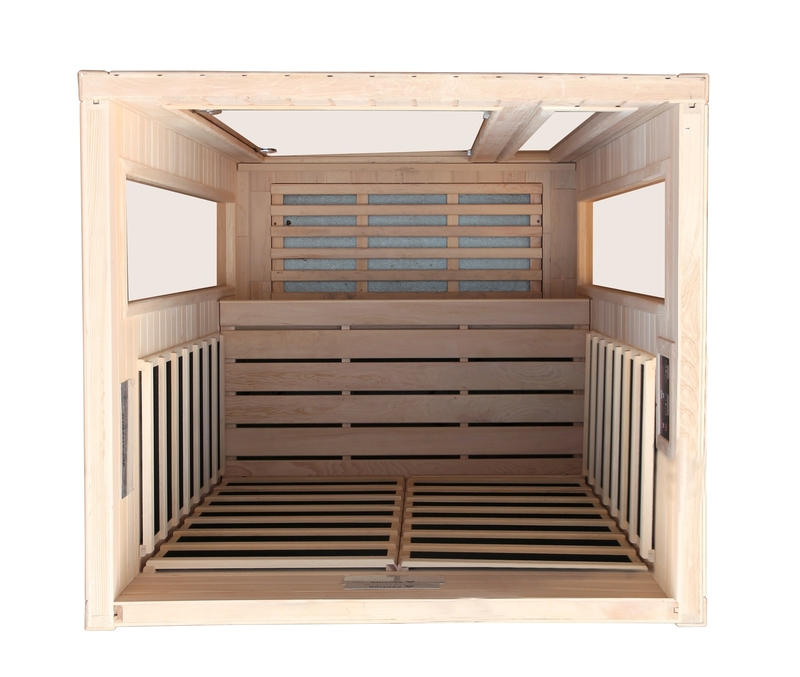 The sauna plugs into any dedicated 15 amp 110 volt outlet so no special wiring is required and the sauna may be installed on carpet and at any indoor location including the basement, garage, master bath or walk in closet.